Starting from October 30, every Tuesday at 10 AM EST, XTRD CTO Serg Gulko will be running one-hour long Q&A sessions in Telegram. We have prepared a short transcript from the first session. Prepare your questions for next Tuesday and join the discussion! Q (Bull Bittrex): How’s development going on DARK, SPA and PRO? When can we expect releases to roll out? A (Serg): FIX API for trading and market data is live, PRO is under the heavy development and we expect to bring it live by the end of 2018 — beginning of 2019. DARK is still in progress. The main issue to solve is a legal framework. Technologically we’re almost ready. Q (Bull Bittrex): Beaxy has been getting a lot of exposure and hype as of late can you explain how the partnership with them brings in the tokens? A (Serg): I’m really happy for Beaxy guys, we chatted briefly a week ago but now they are very busy with conferences and exhibitions. We see Beaxy as one of our routing destinations. Why? Because their infrastructure is built on top of very serious and mature tech stack and they capable to handle serious load. Q (Bull Bittrex): Can you explain a little more about the ISO you applied for? And how being a vendor in the FIX community works? A (Serg): MIC code is like a globally recognized ID for market participants e.g. ECNs (like XTRD) or exchanges. ISO maintains a global registry of all companies around the world and we would like to be a part of this ecosystem. We also encourage all exchanges with whom we are working to start the same process. The reason we are in FIX Community is very simple — we are getting a clean, non-biased view what is going on in the industry. Plus, we have access to all FIX Trading Community events (read — networking, clients, etc). Q (Mike P): I had a look through the token tracker and don’t see much happening other than IDEX and Coinsuper, some random buys and sells, but nothing that looks like, for example, FIX API clients paying for market data or similar. What is happening on this front? Are clients transacting in fiat for the moment, and if so, will XTRD settle that by purchasing tokens on the market as other projects who have yet to build their token settlement interfaces are doing? A (Serg): Our current clients are initial token sales participants, so they are spending old tokens. Of course, we are working to add new clients to our ecosystem. We agreed to settle balances quarterly with existing clients (it was part of the deal), that’s why you don’t see too much on Etherscan. Q (Mike P): The Whitepaper is no longer on the website; this makes it pretty much impossible for new folks to get to know what XTRD is all about. Is the paper being updated, or was this an oversight? A (Serg): We will put much more useful information on the website soon — e.g. more detailed information about FIX routers (including full specs). Q (fiftynineblake): Will there be reports for the public quarterly as well, or on some other timeframe about number of clients, average daily trading volume, etc. A (Serg): This is not the information we can disclose publicly due to the NDAs. We usually share it with exchanges. Q (fiftynineblake): But you’re not bringing to light anyones trading info by being transparent about how many clients you have onboarded, and how the system is being utilized. I think in this space transparency is king, we know you are not bound by anyone here having actual shares, but in my experience teams gain a lot of respect for being open by stating exactly their current treasury holdings (for better or worse), staff numbers and where they are based, number of clients and projections forwards for example. A (Serg): It has a lot of sense to me! We will have an internal discussion to see how to apply these principles to new clients. But for now we will stick with the existing, traditional play rules. Q (Matt T): Is XTRD looking at providing FIX services for tZero? A (Serg): tZero is at least 3–4 months to trade and they will be focusing on security tokens what is really great. We are in good relationships with their team and looking forward to integrating their exchange into our ecosystem once they will be in production. Q (Matt T): In the future, when the space is more clearly defined and regulated by the SEC and XTRD is highly profitable, would XTRD ever consider changing its token into a security token or some sort of profit sharing token? A (Serg): To be honest with you, we mainly focused on building a working and sustainable business model right now with right tech stack, clients, vendors, etc. This is priority #1 for me. Q (Mike P): Would it be possible to see some video updates of some of the new stuff in action, similar to that February video? 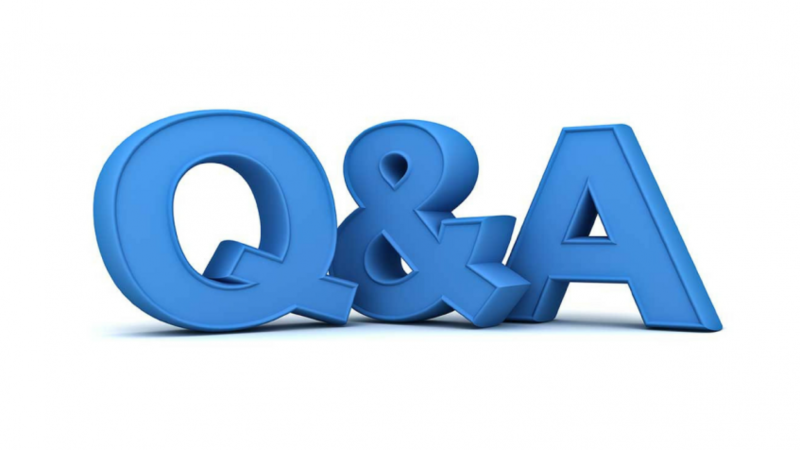 Next Q&A session is on November 6, 2018!